Although her designs adorned the walls of homes and businesses across the United States, the name Frances (“Fanny”) Flora Bond Palmer (1812-1876) remains obscure. 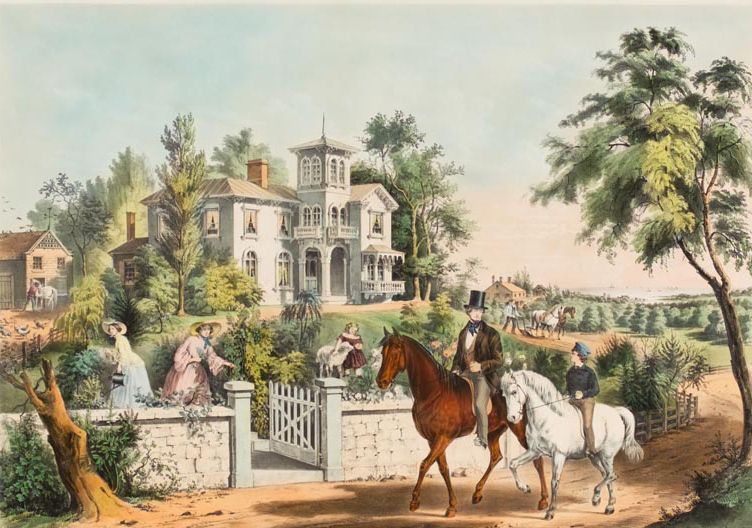 Arguably the most prolific and effective artist working behind the scenes for the Currier & Ives lithography firm, Palmer illustrated some of the most celebrated images associated with American life in the 1800s. 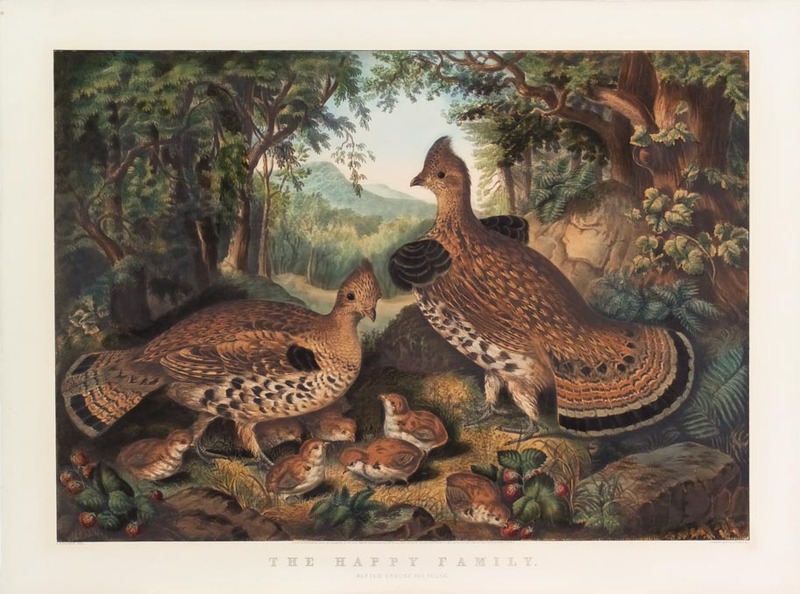 In addition to designing over 200 popular prints, Fanny Palmer supported her family financially at a time when it was nearly unheard of for women to do so. 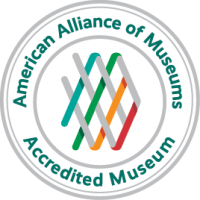 This exhibition celebrates her achievements and offers a renewed examination of prints produced by Currier & Ives. Image (above): American Country Life. 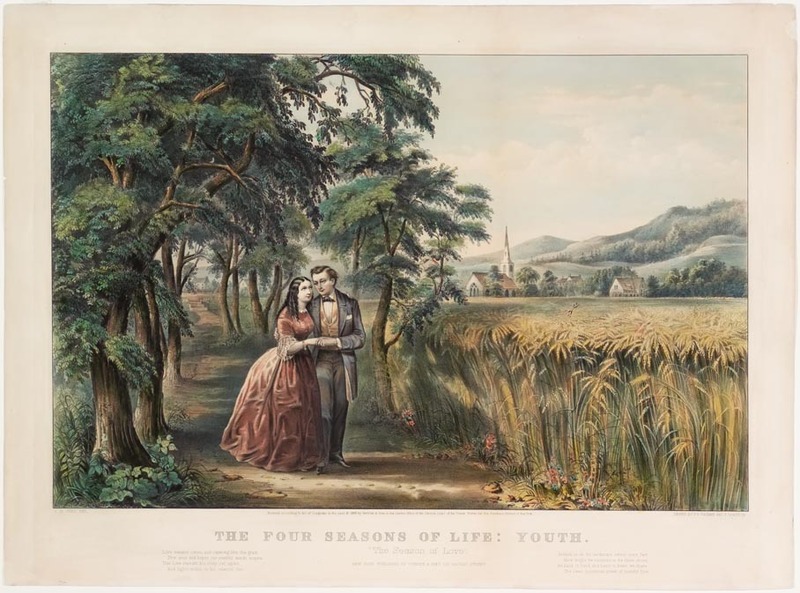 May Morning., 1855, hand-colored lithograph published by Nathaniel Currier (American, 1813-1888), after Frances Flora Bond Palmer (American, 1812-1876), Gift of Lenore B. and Sidney A. Alpert, supplemented with Museum Acquisition Funds, 2004.D03.509.